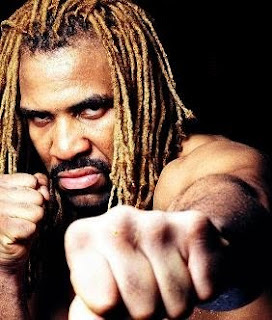 On this edition of No Holds Barred, host Eddie Goldman analyzes the one-sided beating by WBC heavyweight champion Vitali Klitschko of Shannon Briggs on Saturday, October 16, in Hamburg, Germany. Briggs managed to survive 12 rounds of punishment from Klitschko, but, according to news reports, had to be hospitalized and taken to an intensive care unit in Hamburg after the fight. We thus discuss the background to this fight and what it says about boxing. MMA WORLD EXPO. The mixed martial arts community comes to New York City, featuring the Renzo Gracie Open No-Gi 2010 tournament, a Muay Thai tournament, MMA fighters from the Bellator Fighting Championships, training seminars, vendors, panel discussions, and more to come. The second annual MMA WORLD EXPO, in association with Madison Square Garden Sports, takes place Friday, November 12, and Saturday, November 13, at the Jacob Javits Center in New York City.